Ms. Carver was born in Grosse Pointe Woods, Michigan, having been raised in the Detroit area. She moved to Horry County in 2000 and is a parishioner at St. Andrew Catholic Church in Myrtle Beach. Ms. Carver graduated from Indiana University with a BA degree in Criminal Justice in 1993 and from Thomas M. Cooley Law School in 1999. During her law school career, she was honored to study law in Oxford, England and was an assistant editor of The Thomas M. Cooley Law Review. Lisa is admitted in South Carolina and the United States District Court for South Carolina. After clerking for the Honorable Carolyn Stell in Lansing, Michigan in 1999, she joined the firm of Young, Clement & Rivers in Charleston, SC as an associate in their workers' compensation defense department in 2000. She then went on to serve as a prosecutor in Horry County, South Carolina from 2001-2006, ultimately as the senior prosecutor over Magistrate's Court. In 2006, she returned to private practice with an emphasis in the areas of family law, civil litigation and workers' compensation. In 2008, Lisa became certified as a Guardian AdLitem in Family Court and also earned her certificate in Family Mediation. She opened the Carver Law Firm, LLC in April of 2009 and specializes in Family Court matters. Ms. 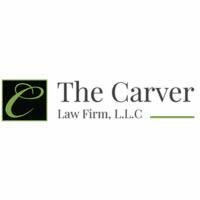 Carver has an abundance of trial experience in both the criminal and civil forums and successfully argued a case to the South Carolina State Supreme Court in 2005. Lisa is a member of the South Carolina and Horry County Bar Associations, has sat on the Leadership Grand Strand Board of Regents and the North Myrtle Beach Humane Society Board, has given of her time pro bono for the Ask-A-Lawyer program, and judged the regional middle school and high school mock trial competitions. She also participates in the Coastal Women's Law Society.